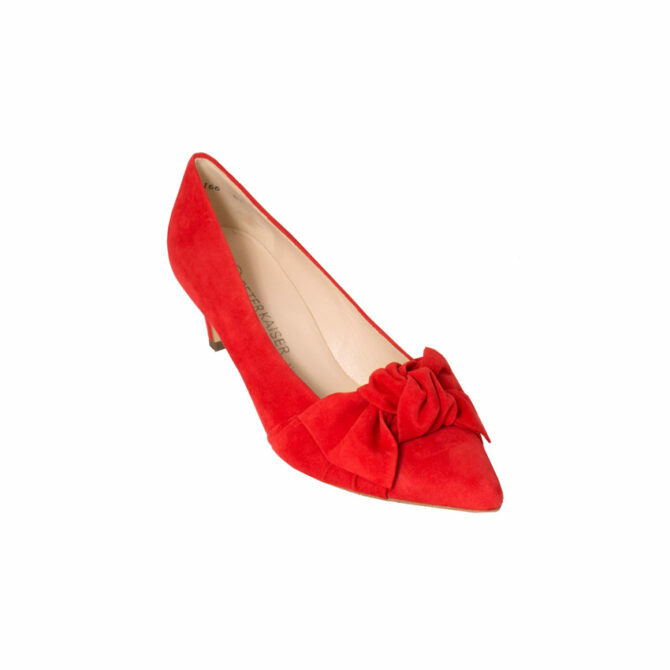 A Stunning Orange Suede Court with an off centre bow. Leather lining and sole. Matching suede 50mm covered kitten heel. As a recognized designer of women's footwear, the brand has gained a cult following across the globe. As a recognized designer of women’s footwear, the brand has gained a cult following across the globe. Peter Kaiser Shoes hold a reputation for channeling key fashion trends from season to season, from boots and shoes in winter, to classic sandals and slingbacks in the summer. As a recognized designer of women's footwear, the brand has gained a cult following across the globe. Peter Kaiser Shoes hold a reputation for channeling key fashion trends from season to season, from boots and shoes in winter, to classic sandals and slingbacks in the summer.